#MYBALDWIN is an interactive campaign providing fans all over the world with the opportunity to have a new wash of denim produced in their name. 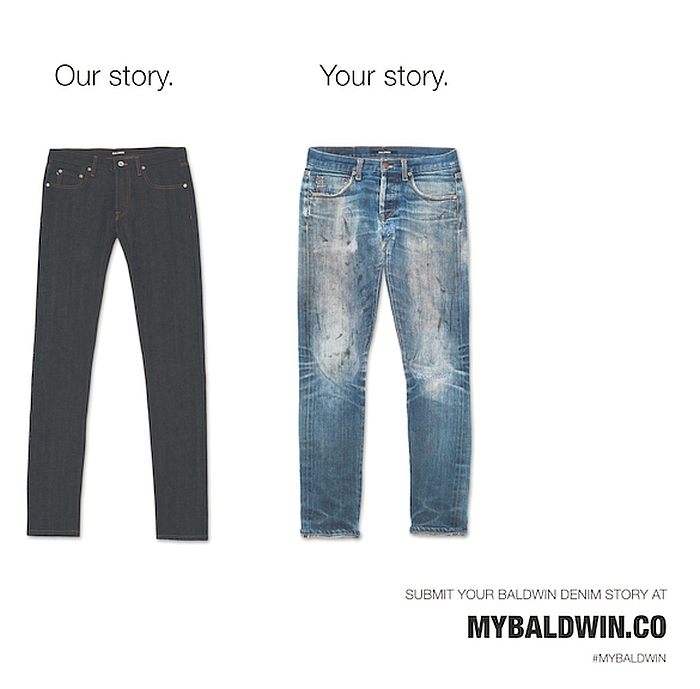 BALDWIN fans will submit their personal worn-in jeans to www.MYBALDWIN.co where they can then click to Like their favorite pairs, leading to the selection of three winners on December 1st, 2014. BALDWIN jeans are designed to improve with each wear. #MYBALDWIN is a campaign that focuses around BALDWIN’s core belief that each pair of denim carries a unique story within its fabric. Beginning in 2009, BALDWIN began reclaiming customer jeans in order to tell these stories by re-creating these worn-in jeans making all the washes truly authentic. By reclaiming these jeans, BALDWIN has created custom washes in tribute to members of the BALDWIN community. 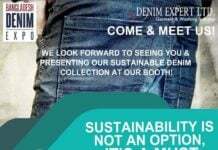 Through www.MYBALDWIN.co, participants will submit images of their broken-in denim then fans will click to Like their favorite pairs. On December 1st, 2014 BALDWIN will announce the three winners whose washes received the highest number of Likes. 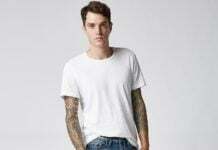 The three winning washes will be produced and named after their wearers as part of the Fall/ Winter 2015 collection, continuing the current naming strategy. The winners will also receive a pair of denim in their wash along with recognition in the BALDWIN community and beyond. #MYBALDWIN promotes the ideology that all denim carries a story and continues the brand’s efforts to share these stories. BALDWIN creates a legacy that reflects the shared experience of its community. Voting on www.MYBALDWIN.co went live September 23rd, 2014 and will remain open until the selection of winners on December 1st, 2014.